another way of being in the world. Guidance & support for vibrating higher daily. Here, is where you stop doing it alone. What is Vibrate Higher Daily? 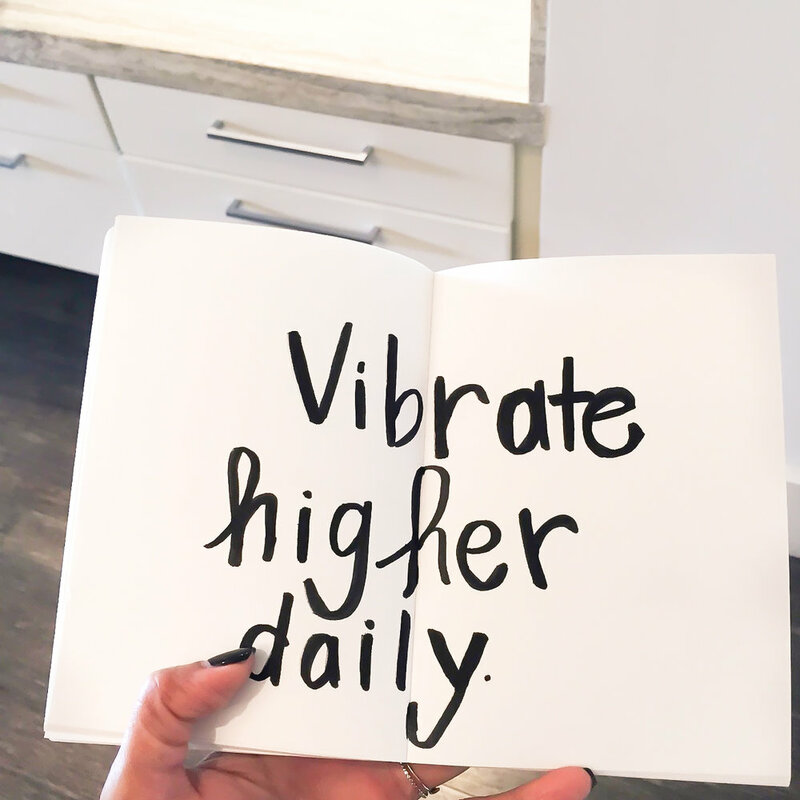 With an emphasis on the word 'daily', vibrating higher daily is about making conscious, sensible, and intentional, day-to-day choices and decisions—that vibrationally supports and sustains us in positive, progressive, edifying, and empowering ways. Vibrating higher daily leads to a higher potential and quality of living and being. In vibrating higher daily, we're lifted out of mindsets, habits, realities, and lifestyles that don't serve us—into ones that do. This is so not about chasing airy-fairy perfection or self-righteousness over others. What it is about is remembering who you are, and entering, living, and rising into that potential, daily. And returning to it—with grace—if we find we've lost our way. 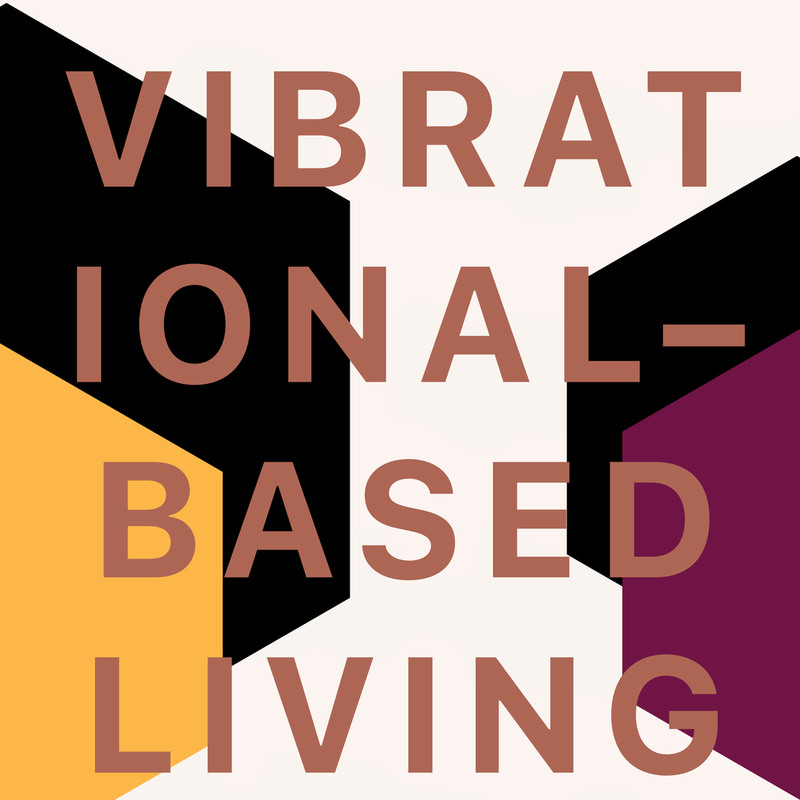 Vibrational-based living sets the foundation for what and who it is we're becoming. 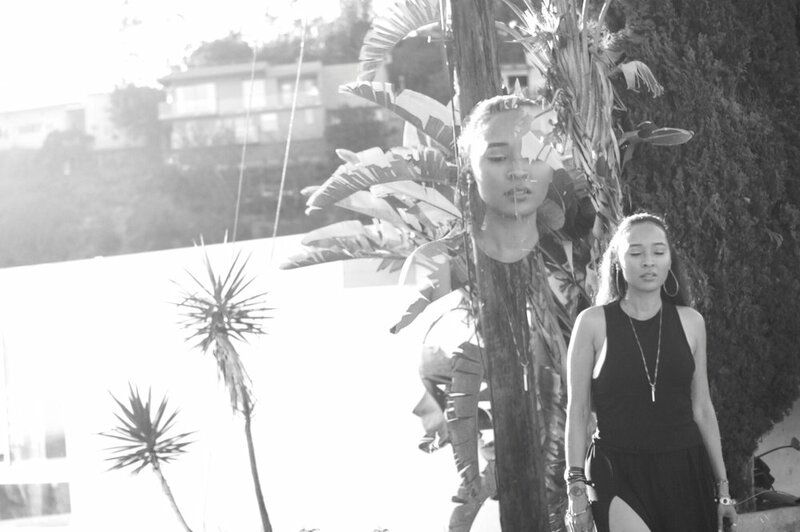 It also governs how we're growing, evolving, and taking on new forms as individuals and as a collective. Vibrational-based living sensitizes and empowers you to vibrational stimuli, within and without. Vibrating higher daily is about being aware and intentional of our vibrational impact. All while seeking to use our vibration as a tool for higher purpose, good, and change. How we position ourselves, show up, operate, navigate, create, communicate, serve, and respond, is our impact on the world. This website was created with you in mind. The goal of this space is to empower you to make choices that enhance and benefit your life and well-being. I encourage you to visit this space daily or as often as possible as a part of your practice. May this be a space of nourishment, fortification, edification, and community. Take in what resonates with you daily. Journey through this space alone, with a friend, a partner, a child/teen, or with a class or group. Engage your brain waves and senses. Vibe out to my Energy Cleanse playlist on Spotify. Be cleansed through high vibrational music including binaural beats for brain entrainment, a.k.a vibrating higher. been, you are right on schedule. You. It takes you deciding to be the hero, captain, and nurturer of your life daily. It all starts within. We live in an energetic and vibrational universe. So in order to grow into our fullness, overcome various terrains, weather, and processes, and vibrate higher as a result, there are some the basics (and even non-negotiables) that are essential to have in place, on deck, and in operation to create vibrational stamina and stability. Fortifying in ways that support and sustain our being on a vibration level is essential. It's how we take our power back, daily. Implementing the lifestyle, choices, and practices, that raise our vibration is what vibrational-based living is all about. On a cellular level, life is all about vibration. Literally. Under a microscope we are each cells in motion, vibrating at a certain frequency. Vibrating higher daily allows us to be a clear channel. High and low vibrations mimic the difference between a broadcasting signal that's in tune and clear, versus one that's out of tune and full of static. Vibrating higher allows you to be a clear and effective channel (and vessel). It also brings about well being, wholeness and higher potential, creativity, learning, manifestation, healing, love, peace, power, service, and purpose. Vibration is the constant bridge of communication between the mind, body, spirit, and outer-world. Vibrational-based living Vibrational-based living, is the day-to-day lifestyle, pathway, and practice, of intentionally moving through your life with awareness and focus on the impact, influence, and presence, of vibration operating from within you, around you, and in all things. Vibrational-development is the growth process of enhancing our vibration and evolving into higher our potential. Vibrating higher daily is the process of vibrational-based living and higher potential — in action, and lived out. Vibrational-based living and vibrational-development are pathways for honoring, nurturing, and manifesting our higher potential self and life. Through vibrational-based living we reclaim our power over what we deem acceptable, on a personal and collective level. Take time each day to check in with yourself. Make space for connecting with The Divine. Make it essential to your day to vibrate into higher alignment. Get creative and fun with the pathways. Reflect on your vibration; heart, mind, body, spirit, actions, choices, and emotions, throughout the day and week. See how and where you were able to manifest and allow high vibrations to flow through you and sustain you. Deeply engage in what makes you feel alive and like yourself again. Do more of what upholds, sustains you, and fortifies you through your day, journey, and process. Cherish your being. Continued growth. Keep unfolding, vibrating higher, and self-actualizing. Expand, don't contract. Stay rooted to what nourishes you, awakens you, cultivates you, and guides you higher. May You Vibrate Higher — into empowerment. Look Inside Your Life. Look Within. Taking a genuine look at what's within, while loving yourself through whatever's there, the good and the not so good, is the higher vibrational way. Love is a powerful vibration to use for growing within and vibrating higher daily. Become your best friend and hero. Introspection is about getting to the core of your being and understanding yourself from a non-judgmental way.Whatever requires developing, transcending, releasing, maturing, more grace, love, and more time to process and heal, introspection is the way. Love yourself forward. Cultivate within. 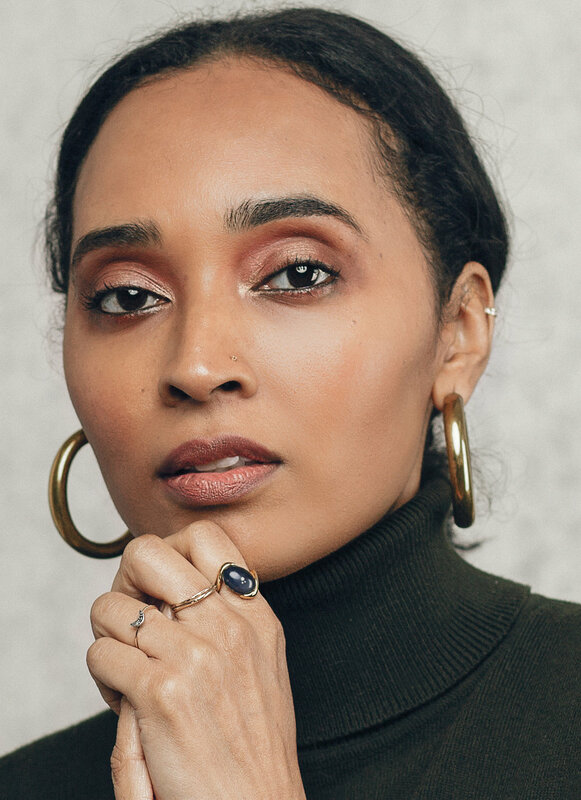 "Words have immense power, and Lalah has the beautiful gift of inspiring and healing with hers." My passion and appreciation for vibrating higher came as a direct result of my personal healing and liberation journey—heart, mind, body, and soul. What I now know from over 10 years of experience, is that there are certain things that if you implement them into the daily life—or release them—are the missing link, are game-changing, will transform you, free you, raise your vibration, and give your life back to you whole (and thriving!). This space, my life, and the work I create are all for, and about honoring, linking, illuminating, and with joy, advocating the things that support us in vibrating higher. 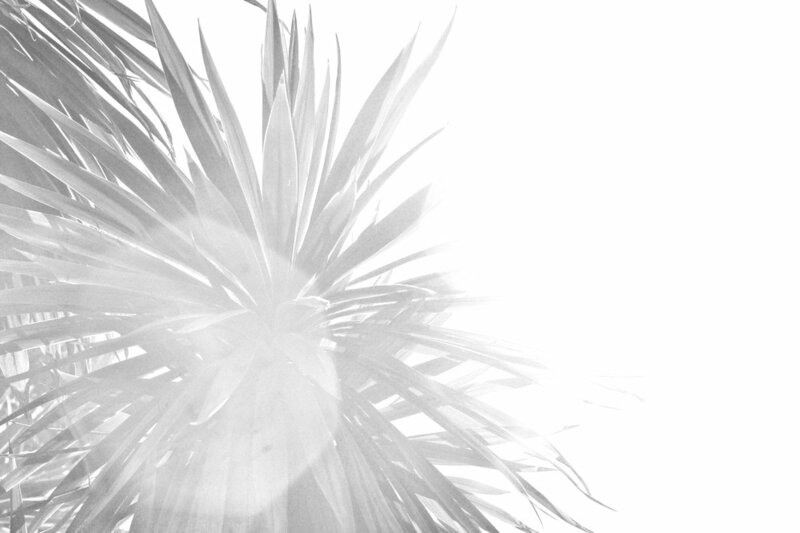 My vision for Vibrate Higher Daily was birthed out of the sheer necessity for it to exist. Also, through my passion to offer support, guidance, clarity, and community, to the path of vibrating higher daily. This vision is to be a daily support system for vibrational-based living and development, as a virtual outpost and oasis. Divine inspiration, personal experience, and new learnings, have and will continue to organize themselves into my writing, my work, and this space. Due to my own personal spectrum of experiences I get how real it is out here: spirit, mind, body, soul, and vibrational. Understand you're not alone, this space is here to be a day-to-day companion, resource, and safe space on your journey. My Name is pronounced 'Layla Dee-lee-ah'. I'm named after my beloved grandmother Lalah and grandmother Delia. Named one of GIRLBOSS'S top10 favorite Instagram accounts to follow for self-care, wellness, and spiritual advice. by rising above the complexities of your life. It's all about living in the knowledge of vibrating higher through the complexities of your life. Wherever life has you on your journey, you're there to be the shero/hero of your life, and transcend it. Shero/Heroes tap into a higher dimension and realm of power. And although this power at times will be tested, there's a Higher guiding force in existence and at work. This guiding force carries the shero/hero through all terrain and weather in an otherworldly way. Staying aligned and connected to the higher source of power, come what may, is the way of the shero/hero. Alignment and connection happen through fortification, a.k.a. vibrational work. Be it spirit–care, body–care, mind-care, nutrition-care, space-care, self–care, and so on, the work is a sacred tool. Vibrational-work through its various forms offers us ways in which to fortify, take our power back, rise above, win, and transcend. Victory begins with you deciding to be the shero/hero of your life, each day. That said, let's go deeper into it vibrational-work. Fig. 9 | Vibrations and vibrations. There's a sacred process involved in getting to where you desire to be on your journey. There are certain parts of the process that cannot be skipped and are vital to all the other parts, aligning. Take time to honor the process: mind, body, heart, spirit, soul, lifestyle, nutritional, relational, creative, and so on. We honor the process by taking our time. The intentional time that is, to let things be and work as we prepare, develop, align, and vibrate higher. Just as vital, we honor the process by taking action when we need to, intentional action. Even through fear, discomfort, and doubt, taking action is honoring the process. This, in turn, moves the process along in divine order. What mood is currently ruling your vibration? How are we vibing today? Moods are vibrations and they're big. They're our vibrations expressing themselves. Moods create the atmosphere and energy field around us and within us. It's our mood that highlights and reveals our current vibration. Mood sets the tone of your day and our experiences in it. Our mood is the way we express our vibration to the world. Moods can be contagious and set the vibrational atmosphere of the spaces we journey to, enter in and live in. Your mood is how you express your vibration. Our most dominant and consistent mood eventually evolves into the vibration theme of our day, week, month, year, life, and reality. There are many moods we can experience within the course of our day. It's up to us to vibrate higher through it all. What mood is currently ruling your vibration? What vibration is currently ruling your mood? The moon has a gravitational pull on our emotions just like it does on the ocean. 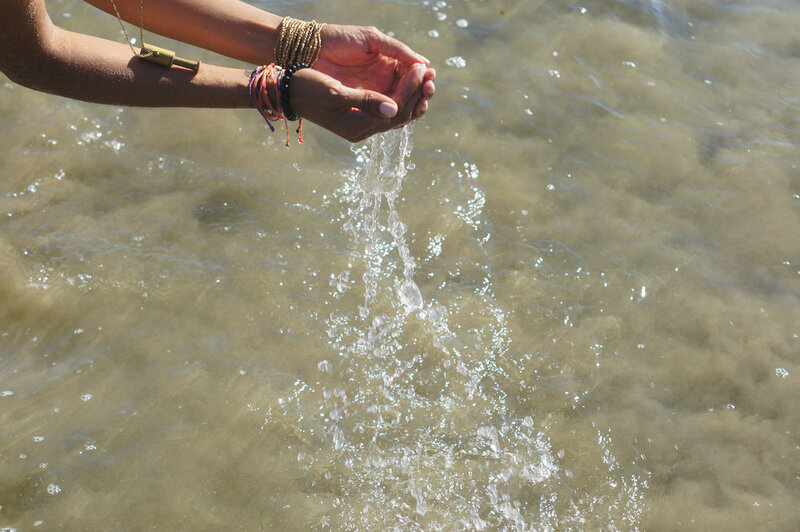 Being that we have the same water to mass ration as the earth and her oceans, we are affected just the same. Our emotions can come in waves. All in order that you know how to vibrate through, above, and beyond. Through all the terrains, all the weather, all transitions, all the routes, feels, and moods, vibrate higher daily. Fig. 10 | Through it all, vibrate higher daily. Living a high vibrational-life not only serves you, it also serves the world. There're countless benefits of vibrating higher daily. Some of the core benefits are that it creates, nurtures, supports, and sustains a greater sense of purpose, direction, balance, well-being, and wholeness, within ourselves, and also in our experiences, our homes, our work, our relationships, in our culture, throughout our communities, and ultimately the greater world around us. As divinely appointed caretakers of this world, it's important to consider the vibrational impact we make and leave. Let's continue our part in raising the collective vibration of this world we live in. Stay connected to receive updates, insights, high-vibes, love & inspiration from Vibrate Higher Daily & Lalah Delia.